The small rural community of Karamea at the top of the West Coast is rightfully up in arms over a review by N.Z. Police that recommends the “disestablishment” of their police station. It is difficult to then understand how the stated objective of the proposal can achieve this by “disestablishing” the Karamea police station. Surely the effective closure of a police station in perhaps the most remote town on Mainland New Zealand can only lead to a response-based service, which contravenes the proposal’s very purpose. The report correctly states that Karamea is 66.9 kilometres from the next closest police station in Granity. It, however, neglects to mention that the windy mountain road traverses the Karamea Bluffs and the drive time from Granity to Karamea is over one hour. In turn, Granity is a 20-minute drive from Westport, so surely it would make more sense to close the Granity police station given its proximity to other police resources. In the event of a natural disaster that makes the road impassable, the Karamea community and visiting tourists would be completely isolated from much needed police assistance. Karamea is the Western gateway to the Kahurangi National Park, which services the Heaphy Track, Oparara Basin and other attractions. The number of people participating in activities provided by these facilities and visitors to the Karamea region is increasing in line with community, regional and national efforts to boost tourism. This would seem to coincide with an increased need for associated police services and a determination of future police requirements based on a purely economic analysis of past crime figures ignores this fact and is rather shortsighted. The Karamea region has a small largely law-abiding population, which is perhaps due to permanent police presence in the region. The current police officer, Senior Constable Alan Kees, has been servicing the region for the past 22 years and the fact that we enjoy a relatively crime free existence is largely due to the efficacy of his police work and that he is very familiar with the region and the people living here. Inspector Jeff Penno, who resides in Waikato, compiled the proposal and it would appear that he is not savvy with the logistics and needs of the Karamea community. Perhaps he and Tasman-based Superintendent Malthus could actually visit Karamea and get a first-hand understanding of the situation rather than attempting to remotely rule the region, which is precisely what is suggested by the proposal to end full time police presence at the Karamea station. A police presence is also helpful to business owners like myself who cater to visitors to the region and the loss of an officer stationed here would be detrimental to the smooth operation of our respective ventures and the feeling of comfort and security of our guests. I invite both Superintendent Malthus and Inspector Penno to come over to Karamea and attend a community meeting to hear directly from the people affected by their proposal and give us an opportunity to present our thoughts and perhaps suggest better solutions and alternatives to what is considered by most people in this community to be a very bad idea. Thank you both for taking the time to provide feedback on the West Coast Area Service Delivery Review proposal. In regard to your invitation for Superintendent Malthus to visit Karamea, as Acting Area Commander is it my role to engage with the community and lead the consultation on this proposal. I held a community consultation session and also attended the Mayor’s public meeting in Karamea on 8 February. If there is a desire within the community for further discussion on the proposal prior to submissions closing on 4 March 2016 I would be happy to endeavour to facilitate this. Thank you for responding to my feedback, albeit via Tim Hawley. I feel, and this is supported by strong community sentiment, that the people actually responsible for the “West Coast Area Service Delivery Review proposal” should be the ones to answer questions relating to their review. I appreciate that you came to speak about the review and the public meeting was useful to a point, but we really need to hear from and be able to ask questions of the people responsible for the report. I also believe that Superintendent Malthus and Inspector Penno need to hear first hand the valid and serious concerns the people of Karamea have regarding the proposed “disestablishment” of the Karamea Police Station and the removal of a permanent police presence in our region. So I reiterate my request that they meet with the people of Karamea over this issue. Thank you also for your offer of further consultation, but more of the same is not acceptable, please pass on this information on to Superintendent Malthus and Inspector Penno and I again urge that they actually visit Karamea and see first-hand the isolation of the community, the support of the community to maintain the police presence in the region, the genuine concerns members of the community have over measures in the report pertaining to Karamea and hear in person the anguish and apprehension the proposal has caused in the community. It would seem that Superintendent Malthus and Inspector Penno consider they are too important, too busy or are too disinterested in the plight of the Karamea Community to be bothered to front up and face the music. As I said at the meeting you convened, we expect a lot from our police officers and police force, but cowardice is not on that list. We want to meet with the people who are advocating the disestablishment of the Karamea Police Station and let them know unequivocally that we consider it to be a very bad idea. Thank you for your response, please also address future correspondence to me. The West Coast’s police boss has proposed setting up a new “tactical squad” to target gangs and drugs. She has also proposed axing Karamea’s only police officer. The proposal document comes after a review of West Coast Police services, announced by Tasman District Commander Superintendent Karyn Malthus in August. It was released for consultation with police and the public on Tuesday. The Coast has about 65 sworn police staff. Malthus said the proposed changes would ensure police staff were appropriately distributed and deployed across the West Coast area to meet communities’ needs. The restructure would not reduce staff numbers on the Coast, but would disestablish eight positions and create eight new roles. The proposed tactical squad would include a sergeant, a detective and one other. It would report to an investigations manager in Greymouth. 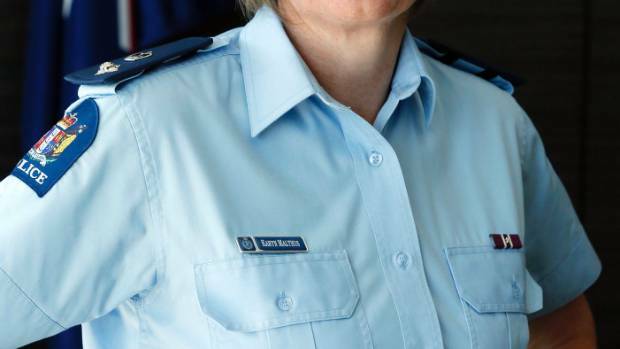 The sole-charge officer at Karamea would be disestablished, although a patrol base would remain and a police presence would be “managed seasonally”. The proposals include disestablishing the three community constables and three youth aid officers at Westport, Hokitika and Greymouth. They would be replaced by two area prevention constables, an area prevention sergeant and an area youth aid position, all based in Greymouth. An additional investigator covering serious crime would be established at Westport. The consultation document said the three youth aid officers were dealing with declining case loads. It said the sole charge officer in Karamea, which had a population of about 750, dealt with on average 27 offences per year, and for seven months had recorded no priority one calls. “It was considered that the Granity sole charge position along with additional support from Westport based staff when required could adequately attend to demand and prevention activities in the community,” it said. However, Karamea resident Ray Douglas said losing the town’s police officer would be a “travesty”. “We have the second largest national park in the country and we are one of the most isolated communities in the country. We have 10,000 people walking the Heaphy Track a year and we have a lot of incidents that need an officer on the ground,” he said. Senior Constable Alan Kees had served the community for many years. “He was born and bred in Karamea and his wife and children are part of the community. He knows the area and the people and does his job very well. If we lose him, cohesion between the police and the community will be affected,” he said. He said it would make more sense for the Granity sole-charge officer to go, as Granity was only 20 minutes from Westport whereas Karamea was an hour and a half from Westport. A decision on the sole-charge Ross officer was “deferred” until a stand alone review with the Ross community took place in February. “While the Governance Group consider that there is clear evidence to indicate that the Ross position should be disestablished…the Governance Group acknowledge that there is an opportunity to engage and consult in more depth with the Ross and wider communities on this subject,” it said. It said the Ross sole-charge officer dealt with on average 30 offences a year. The Tasman District had recorded the highest drug supply, cannabis and drug use offences per 10,000 population in the country last year. Drug supply was almost four times the national average and methamphetamine offending was also well above the national average with detected offences 252 per cent higher than this time last year. Nationally, there had been a 12 per cent increase. The proposal document said policing organised crime was “currently limited by the case loads of CIB investigators and the lack of expertise held by frontline staff”. Malthus said the desire to see a tactical squad was widely raised by staff during the review last year. “The proposals have been driven by the thoughts and ideas of all West Coast Police staff and I believe they will improve the effectiveness of local policing now and looking forward to 2020,” she said. Police will start consulting staff, the community and stakeholders. Feedback should be sent to WestCoastServiceDelivery.feedback@police.govt.nz by February 19. A final decision is expected by March 31. Waikato district deployment manager Inspector Jeff Penno conducted the review. This entry was posted in Bureaucracy, Economics, Heaphy Track, Kahurangi National Park, Karamea, New Zealand, New Zealand Police, Oparara, Oparara Basin, Paul Murray, Politics, Power, Social Commentary, South Island, Uncategorized and tagged Alan Kees, Bureaucracy, Community, Crime, Economics, Government, Jeff Penno, karamea, Karyn Malthus, Money, New Zealand, New Zealand Police, Social Commentary, South Island, West Coast. Bookmark the permalink. I am writing to express my opposition to the possible decision to cancel the police presence in Karamea. I recently visited the town and many residents voiced their dismay about this. This included those who might not ordinarily be expected to wish for a police presence in their lives. I would say this is a near unanimous opinion. There are many arguments for keeping a police officer stationed in Karamea, most of which are practical issues surrounding law and order. I will confine myself here to a more philosophical point. There are two principal views in Western political discourse as to the origins of civil society. The first is championed by Rousseau who wrote in The Social Contract that man lived in a state of nature before organised society developed. He believed that men were basically good and that this worked well and people lived peacefully. It became necessary to change this situation, however, when human life became more complex and populations grew. A decision was made to form governments which could enhance human life. Some were concerned that government might become tyrannical so, in some cases, government was strictly limited to protect human rights and other freedoms from encroachment by the state. A second view, espoused by Hobbes, was that men were completely wild in the state of nature (ie, in contrast to Rousseau, man was essentially bad, not good) and if left to their own devices would tear each other apart (see his classic work of 1651, Leviathan. in which he postulated that life in the pre-government state of nature was a “Bellum omnium contra omnes”, or “war of all against all”, and that life was “nasty, brutish and short”). Therefore, as Hobbes saw it, a strong centralised state was required to maintain order. This state was empowered to control every aspect of its populace’s life. An all-present police force was eventually needed to ensure this happened on the ground. The New Zealand polity conforms to the latter model (see, generally, Philip Joseph’s Constitutional and Administrative Law in NZ, on the origins of the NZ state). Some, including me, regret this, as it can lead to tyranny or majoritarian government of the sort that has characterised NZ history from time to time. However, since this is how things are in fact ordered in NZ, I think it is incumbent on government to do it properly and not take short cuts by, as may happen in this instance, failing to provide a police presence in Karamea. We live in a Hobbesian state; so let’s do it properly and maintain a strong police presence.